Click here to be notified by email when Natibaby *DD EXCLUSIVE* Lua Emera (Linen Blend) becomes available. This Natibaby Linen Wrap is a little stiff coming right out of the package. However even after only one wash and dry plus a nice ironing, it softens up so much! My most favorite feature is the shimmer in the teal of the fabric when hit by the sunlight! Truly beautiful and so such a classic look. Lua Emera Wraps are at Dearest Diapers in the U.S. and will be shipping from us to you. 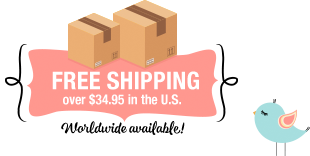 Shipping to your Country is calculated during checkout. Thank you.